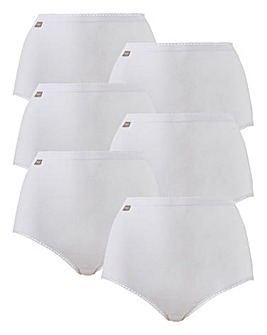 Look good and feel great this season in remarkable fitted comfort with our up to the minute knickers range. For an easy to match look that flatters from all angles, see our fashionable White Knickers and Black Knickers collection. Check out our stunning selection of Pink Knickers to add some colour to your underwear wardrobe. Wherever you go and whatever your plans, we’ll help you to organise and maximise your outfit down to the very last detail.